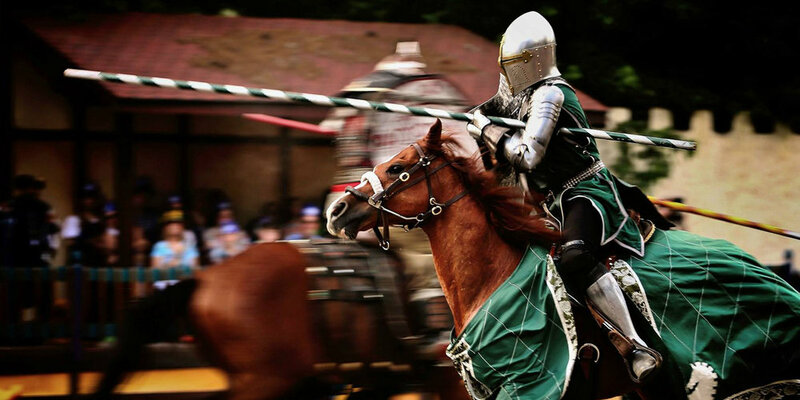 The mission of The Knighten Guild, a 501(c)(3) arts non-profit, is to foster a collaborative environment and community for participatory theatre, encourage people to express their creativity, and challenge them to extend their concept of both community and art through our annual Mutton & Mead Medieval Festival. Our work serves two overlapping, interconnected communities: those who attend the festival and those who either directly or indirectly participate in its creation. Ancillary to this, we also believe in doing “good” in the community we call home. Supporting and strengthening our local community is achieved through a combination of (1) providing an opportunity for community organizations to fundraise at our event, (2) generating income for organizations by paying for their services in connection with our event, (3) making cash donations to other charitable causes, and (4) collecting cash donations on behalf of other non-profits. Below please find a summary of the collaborations we have built in the community. We provide space at the Festival for other organizations to receive donations. For example, we have provided space for (1) The Food Bank to accept donations of nonperishable food (see below/ ongoing), (2) a local 4-H organization to accept donations in connection with the archery activity (ongoing), and (3) the Putney Grammar School to run a raffle (2015). We provide space and the opportunity for this fundraising at the festival without taking any portion of whatever money is raised. We do not track the amounts raised, so can not report on the dollar amounts generated. Each year Mutton and Mead gives the Montague Common Hall a cash donation. Gathering and event spaces such as the Common Hall are essential to building a strong and healthy community in the region. Having a place to congregate, plan, rehearse and celebrate is one of the ways we have been able to achieve our festival mission. The Common Hall is more than a space to us. It is a home. By supporting this home, we increase accessibility for other local organizations to also make use of this home. Mutton and Mead makes numerous other donations in a variety of forms. We make some cash donations directly to other organizations, we provide festival tickets and tokens for give-aways and "thank you's", we provide opportunities at the Festival for other organizations to receive donations, and we collect donations at the Festival on behalf of other organizations. 2017 Monte’s March $1000 (matching donations + Festival tickets + Tokens) and 76.92 contribution (online). When possible we also participate: bringing, music, cheer, Character Actors, support and the occasional Knight. In 2014, we offered cash discounts at the gate to patrons who brought in non-perishable food donations. In 2015 (and continuing in 2016 and 2017) we replaced our front gate “cash” discounts/incentive program with a $1 token coupon. Instead of receiving cash discounts off one's ticket, a patron received $1 Festival Tokens coupons that could be donated to a participating charity within the festival , spent, or kept as a keepsake. In 2014 and 2015 more than $6,000 in discounts was distributed to encourage and reward patron giving. Our goal with the token program has been to facilitate and create a culture of giving within our festival gates that starts with Mutton and Mead giving to our patrons. Note: In 2016 we did not put out our Donation Box Stand and no donations were collected. Also in 2015, donations were rounded up to the whole dollar. The Knighten Guild Community, and all of those who help create our participatory event are proud of the support we are able to give and foster in the community. All the better is that we are doing it while building a sustainable Creative Arts, Education and Entertainment event that serves both our patrons and our participants.